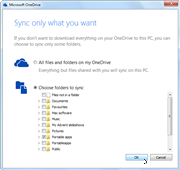 Microsoft OneDrive (formerly SkyDrive) is a powerful tool which makes it easy to sync and store your files online. The new system offers 7GB of online storage space, a big drop from the previous 25GB. However, you can now synchronise the full 7GB; the desktop app allows you to work with files up to 2GB in size (the web version and other apps restrict file sizes to 300MB); and the whole syncing system is now much easier to use. Essentially the program takes a Dropbox-type approach, adding a custom OneDrive folder to your PC, Mac or device. If you copy files to the folder, they'll be synchronised. Rename a file on your phone and the change will appear on your PC and Mac, too. Delete a file on the OneDrive.com web interface and it'll similarly disappear from the folder, immediately. Another useful feature is being able to selectively choose which folders to sync with which computer, allowing you to parcel off separate portions of your storage for different PCs and Macs. There's even a new Fetch feature, which means that if you've gone somewhere and realised you've forgotten an important file on your home PC, then you can access it through OneDrive.com. And if you need more than the standard 7GB storage, then don't worry. Even if you didn't qualify for the free 25GB accounts that were on offer to existing users before April 2012, you can now earn up to an additional 8GB: 3GB for using the new camera backup tool on your mobile, and 5GB for referring up to 10 friends or family (500MB per referral). And if all else fails then you can purchase one of their paid plans, which seem fairly reasonably priced (+50GB for $25 per year, +100GB for $50, +200GB for $100). 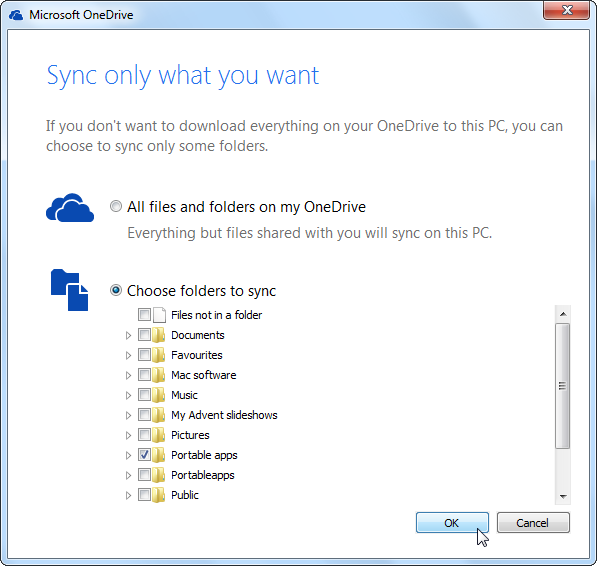 This latest release follows on from Microsoft's rebranding of its SkyDrive service to OneDrive. Aside from the name change (which is reflected in the fact your SkyDrive folder is now called OneDrive), little else has changed from the previous release. What's new in 19.033.0218.0013 (see release notes for more)? Microsoft's rebranding of SkyDrive to OneDrive works seamlessly, and offers a service to rival Dropbox and co.